We all look for ways to lower our energy bills. Whether it is coping with the winter chill or battling the summer heat, it is time to implement the following ways to reduce energy bills effectively. 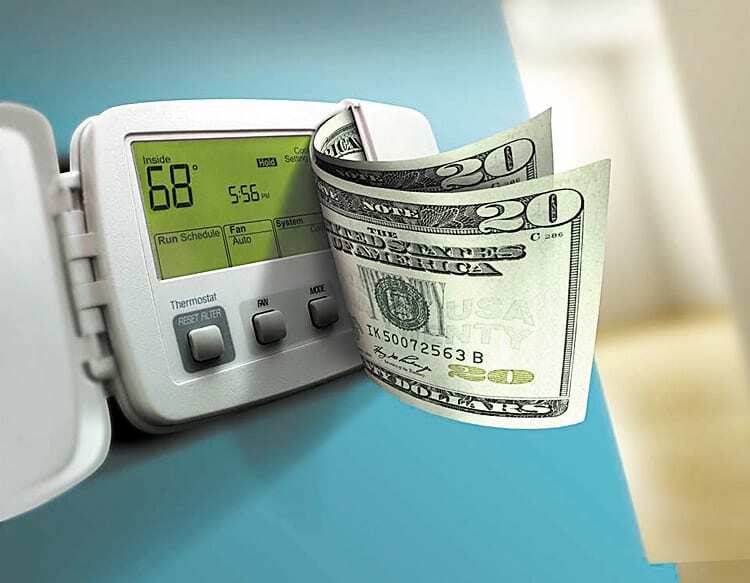 The precious dollars you save in not keeping an empty house cool far outweighs the little discomfort of waiting a few minutes for your house to cool down or heat up once you get back from school/work/vacation. During winter, turn down the thermostat so as not to consume energy keeping an empty house warm. Once you are done charging your phone / tablet / computer, it is best to unplug it or switch it off. Even though the charged indicator turns green, the wire draws electricity from the point. If your socket has a turn off switch, turn it off. Otherwise, unplug the charger from the socket. Over time, your electricity bills will come down. A large air conditioner cools the room faster but there is also plenty of wastage. When you buy appliances like air conditioners, fridges, radiators, and even ceiling fans for that matter, consider your requirement and capacity carefully not only to reduce capital expenditure but also for ways to lower energy bills. If you suspect air leaks in your house or apartment, seal them up using caulk or putty. During winter, the chill creeps in through these. Sealing and caulking air leaks saves more significantly on energy than just turning off unused appliances. If you are planning a slow oven roast for a party, use the oven at night. Similarly, run the washing machine and dishwasher at night. These appliances consume energy as well as generate heat. This causes the room temperature to go up during the day and hence the energy consumed by your air conditioner also increases. In winter, turn down the thermostat before leaving the house but set your washing machine cycle before you leave home. This will warm up the house during the day. Similarly, run the other heat-generating appliances during the day to save energy on the radiator. If you are thinking of buying new appliances, look for such brands that offer energy saving options. Even as you rush to work or school, do not forget to pull down your blinds or draw your curtains. When you are at home, you can apply window films to your glass windows. This will keep the room cool while not restricting your view. While drawing curtains and blinds keeps the house cool during summer, it keeps it warm during winter. If you can spare a few hundreds of dollars, get solar panels for your home and learn to use solar power in place of electricity. You can also come up with more ways to lower electric bill by making do-it-yourself solar lamps and buying solar porch lights. If you are changing your wiring or remodeling your home, install dimmer switches for your lights. It will not only create an ambience but you can also control the amount of energy consumed. The expenditure you incur when you replace your air filters regularly is easily offset by the energy saving caused by absence of obstruction and blockage. Keeping your windows and air vents clean will ensure the room heats up or cools down naturally faster during appropriate seasons. This will reduce the consumption of electricity while cooling or heating up the room. A ceiling fan circulates the air and draws warm air upwards. This cools down the room and many times say late evening or early morning, a ceiling fan that consumes less electricity than an air conditioner will do the job most effectively. Playing outside or reading books are easy ways to lower electric bill. Spend the evening playing outside or working out at the gym instead of watching TV or playing video games. It will not only reduce energy bill, but also make your healthier. CFL bulbs are available in a variety of shapes and give soft ambient lighting. Use CFL bulbs as easy ways to lower electric bill in place of incandescent lighting. CFLs consume almost 4 times less energy than incandescent lights. Come up with more ways to reduce energy bill by looking for leaks and sealing them, cleaning the vents and finding alternate ways to cook and wash.
Cook with the lid on: this will reduce the cooking time and consumption of power. Thaw food before cooking or reheating. Use the good old crock-pot: it heats up faster and uses less energy. Air dry clothing instead of running the dryer: most washing machines wring all water out of the clothing. It is better to hang your clothes on a clothing line during a warm day instead of using the clothes drier. Fully load the dishwasher before running it: wash glass and crockery by hand and load the dishwasher to full capacity before running it. These easy ways to lower electric bill will also help save water. If there is a canopy of shady trees or bamboo around your house, it gets less heated during the day and the canopy breaks the windy chills during winter. Moreover, gardening turns the ways to reduce energy bill into a therapeutic experience. Although CFLs are very popular, LEDs are much more energy efficient and have lesser negative impact on the environment compared to CFLs. Try to procure LEDs if you are remodeling your home or changing the light bulbs for some reason.